An oversized white dial combined with a sleek stainless steel and gold tone bracelet give this Emporio Armani watch a cool, metropolitan look. This model features date window. 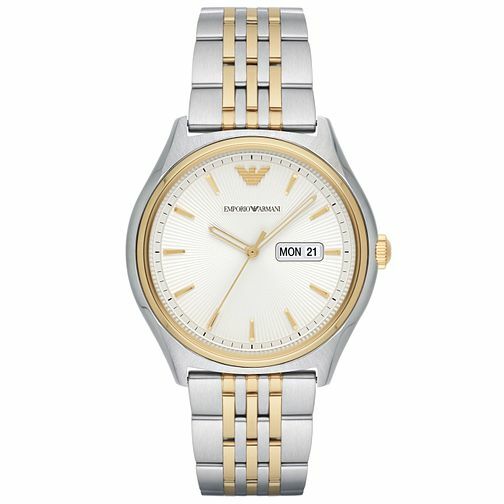 Emporio Armani Men's Two Colour Bracelet Watch is rated 4.5 out of 5 by 2. Rated 5 out of 5 by Anonymous from Men’s Armani dress watch Bought this as a gift for my partner just because the price was too good to miss! He loved it!